Ready for a summer getaway? Between the warm breeze and breathe-taking sunsets, Hawaii is the perfect vacation destination. 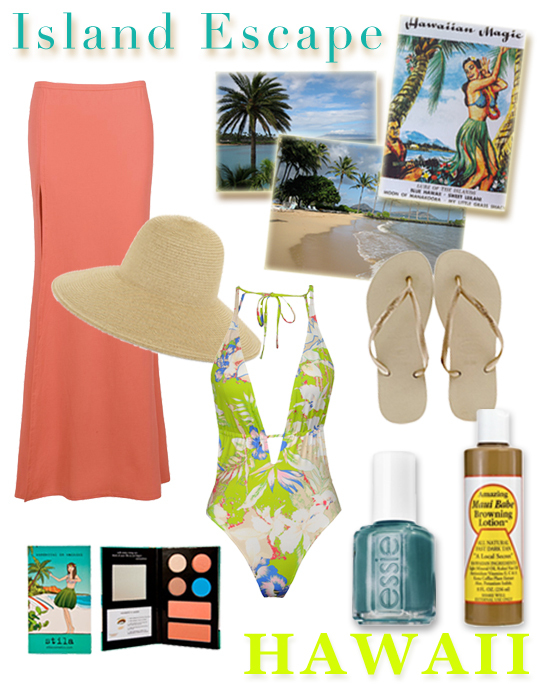 Below you'll find everything you need to know (and pack) in order to make your Hawaiian Island escape unforgettable. STAY: Kahala Resort & Spa. Lounge in a hammock at the resort's secluded beach or swim with dolphins at the hotel's private lagoon. EAT: Alan Wong's. Order the Ahi & Avocado Salsa Stack and Chocolate "Crunch Bars." SHOP: International Marketplace. Find unique jewelry and vintage Hawaiian prints. DO: Surf at Waikiki Beach & hike Diamond Head for the most spectacular views of Oahu.